Along with our once-a-month meeting, the Elders of College Park Church have divided into groups for fellowship, prayer, spiritual growth, and accountability over the last decade to get below the surface of life and ministry. This year we tried something with our new elders. For the elders who were recently elected by the congregation, I led them through Richard Baxter’s The Reformed Pastor for our discussions. Not only did our new elders get to know one another as we prayed for each other during our monthly accountability gatherings, but we also were afforded a great opportunity to think deeply about our role as shepherds. 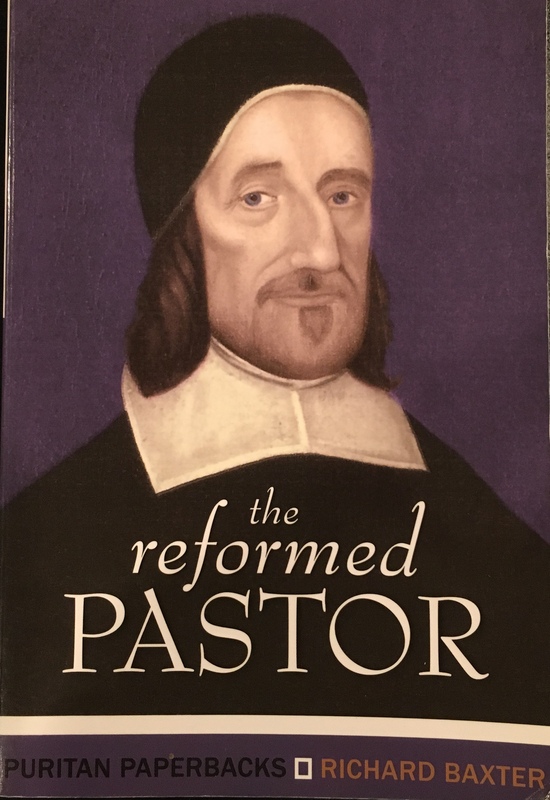 Baxter’s book is challenging to read at first, especially if Puritan authors are unfamiliar to the reader, and it was new ground for some of our Elders. But it wasn’t long until they saw the surprising relevance and depth of insight that Baxter offers. It fueled some great conversations about our souls, the shepherding of our people, the dangers of spiritual leadership, and the connection that we have to the history of the church. I’ve included our study guide below. I commend this book and the regular gathering of Elders at the feet of Richard Baxter. What were some of the strengths and weaknesses of Richard Baxter as a person and as a pastor? What was the context and the fruit of his ministry? According to Packer on page 18, why was personal engagement with his people so essential in Baxter’s ministry? What are some hindrances or excuses that we likewise can make in the neglect of our ministry? How would you rate our church in the priority of individual discipleship or “catechizing”? What was impactful or meaningful about the Dedication of the book by Baxter? What was his tone? From the first 50 pages, why do you think this book could be helpful to your role as an Elder? As you think of your life and ministry, with what specific growth areas are you thinking about after reading this first section? Page 54: “It is a fearful thing to be an unsanctified professor, but more to be an unsanctified preacher.” What are some dangers for those in spiritual leadership when it comes to sanctification? What are some habits or disciplines that help you personally maintain spiritual vitality? What is one area of spiritual growth that you’d like to see in yourself and what would success look like for you? Page 62: “read some rousing awakening book.” What are some of the best books that you’ve read that have served to stir your soul? What are your habits right now regarding reading? Page 68: “it is easier to chide at sin than to overcome it…” Why is this the case? Page 71: “study, pray, confer and practice.” When and how have you seen this to be true in your life? Be familiar with the eight motives on pages 72-86. We’ll read each of them and then spend some time praying over the most applicable ones. What do you think about Baxter’s comment (p. 88, #2) that churches should not be bigger than we are capable of overseeing? What grade would you give College Park Church in its Elder oversight practice? Baxter lists different kinds of people (unconverted, seekers, corrupt, scandalous sinners, the strong, etc.). What kind of people are you most comfortable and effective in shepherding? Why is that the case? With whom are you uncomfortable? Why? Carefully read through the statement on discipline on page 107. Imagine what it would be like to have your name inserted in the form. We’ll try to read it together, and then talk about our impressions. Baxter warns about pursuing the office of shepherd for the wrong reason (p. 111). What are some improper reasons that a man might pursue being an Elder? “Our whole work must be carried on under a deep sense of our own self-sufficiency, and our entire dependence on Christ” (p. 122, #14). What are some ways that you maintain vigilance in self-sufficiency? How do you combat this dangerous trap? What is the significance of the Holy Spirit making men overseers of the church? (p. 129, #2). What are the implications of this for Elder selection and even the number of Elders? “Too many do somewhat for other men’s souls, while they seem to forget that they have souls of their own to regard” (p. 134). Why could being an elder be dangerous for your soul? What are the dangers of dealing with the sinfulness in other people? What strategies do we need to employ to combat this reality? Baxter talks extensively about pride. How would you define or explain pride? What are some of its manifestations? Where does it tend to show up in your life? On page 141, Baxter talks about pride and our willingness to receive correction. Read the last sentence: “We are so tender that a man can scarcely touch us but we are hurt….” What are the pitfalls to avoid when receiving correction? What truths do we need to preach to our hearts when correction comes? “Woe to him who takes up the fame of godliness instead of godliness” p. 145. Why is this easier to do in elder ministry? What are some of the solutions? Baxter emphasizes unity and caution in controversy. Read the six cautions on pages 162-163. What are your thoughts or concerns as you read this list? Is it still applicable? Read the last paragraph of page 164. What are the cautions that Baxter lists for our church and for the broader Evangelical church? This section focuses on the personal nature of shepherding and its connection to catechizing—the systematic training in doctrine. As you think back on your spiritual journey how were you taught the basics of Christianity? What worked for your development? What do you wish was different? What was not successful? Page 177: Baxter refers to mistakes that can be made when the people in a congregation are not known on a personal, spiritual level. What kinds of mistakes do you think can be easily made when people are not known? How have you observed this personally? Do you see it happening now at our church? Page 180: Baxter suggests that people can get the wrong impression about Elders and Pastoral ministry. What kinds of wrong views can they develop about a) what it means to be the church, b) what it means to be a pastor/elder, or c) what it means to be a church member. Page 182: When our people don’t understand the work of Elders because we have distanced them from it, the blame rests on Elders. What are some ways that we receive “push-back” regarding our shepherding strategy? What are some solutions to this problem? Page 183: It seems that Baxter suggests that it might be acceptable for preaching to suffer in order to shepherd people individually. Do you think this is correct? What are the potential dangers with this rationale? What solutions might you develop? Page 187: Shepherding people can have a positive effect on the sanctification of the Elders. Why is that the case? How have you seen that to be true in your Elder experience so far? How might you increase this effect in your life? On pages 200-202 Baxter emphasizes the seriousness of caring for people’s souls, and how it would be sinful for pastors to neglect the task. What helps you keep this in the forefront of your mind? What are some ways that pastors and elders could develop a hard heart to the condition of people’s souls? How does this appear in your life? What strategies do you use to combat this wrong mindset? Beginning on page 212, Baxter lists some excuses or objections that some are inclined to offer. What are some of the excuses for neglecting the care of souls that you need to battle? Page 222: “The more you do, the more you receive; the more you lay out the more you will have coming in.” How have you seen Elder ministry be a great blessing to your soul? How has it helped your walk with Christ? Baxter lists a “pastoral creed” on page 229-230. Which of the bold lines are most meaningful to you and why? In Article 2, there is a great amount of pastoral wisdom in how to care for different people in various spiritual situations. What do you find instructive about Baxter’s approach? What areas of “grace” do we need to give people as we care for their souls?